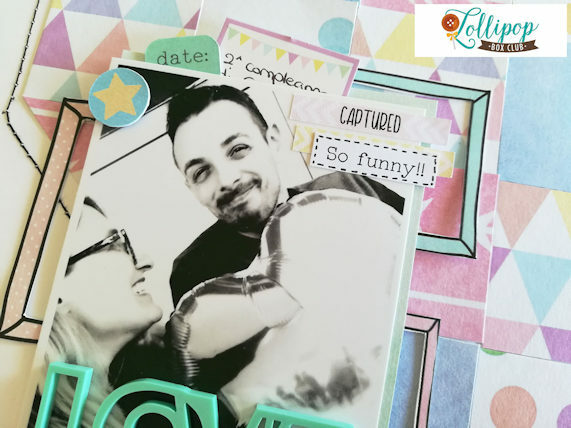 Hello, Giorgia here today with an idea using Lollipop March kit. 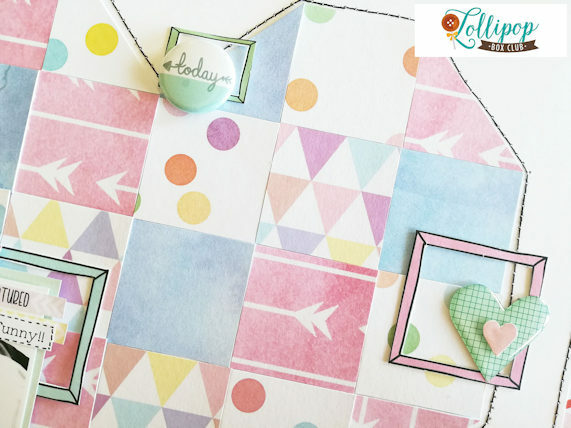 This kit is called “Planner Girl” but don’t be intimidate by its name; even if you are not into planner you can find so many ways to use it! I must confess: I am not really a planner girl, so I decided to make a layout with the kit. 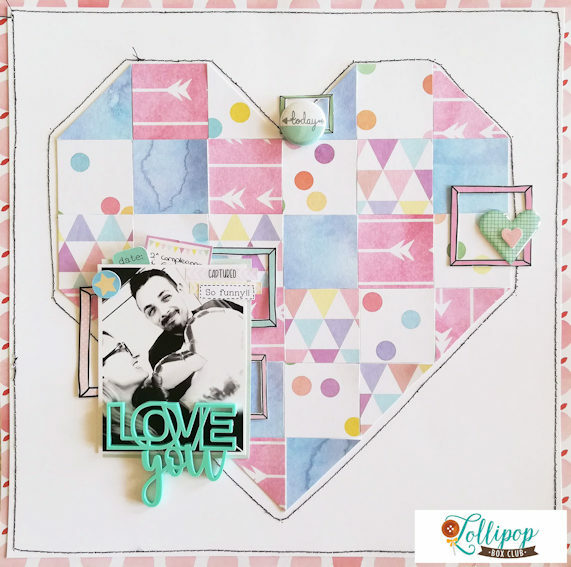 One of my favorite things to do while making a layout is finding new creative ways to use patterned papers; for this layout I cut the patterned papers from the kit in 4 cm squares and triangles and I created a colorful heart with them! 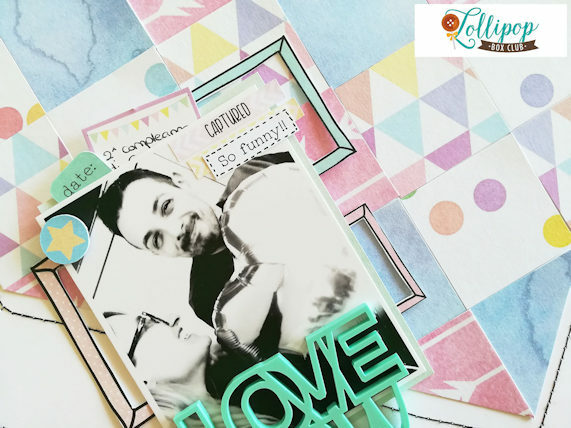 In this kit you can find an awesome paper with all those cute tiny frames: did you noticed that frames are a big trend lately in scrapbooking? I cut some of the frames and used them as layers under the picture and as embellishments. I used stickers and die-cut from the kit to embellish the layout; I also added a mini journal tag cut from the sheet included in the kit. I used a sewing machine to add texture and more interest: I outlined the heart and the layout border. I completed the LO with the cute badge from the kit and an enamel heart. On the heart I adhered one die-cut heart: I used Glossy Accent to give it an enamel look! 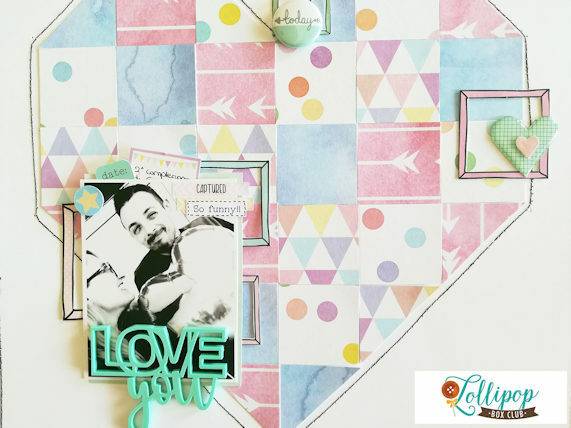 I hope you liked my layout and I hope to have inspired you creating one with your Lollipop kits!